Paradox have acquired a 33% share of Seattle-based studio Hardsuit Labs. Paradox, who are the publishers of Cities: Skylines, Stellaris, and Europa Universalis IV, announced the purchase earlier today. 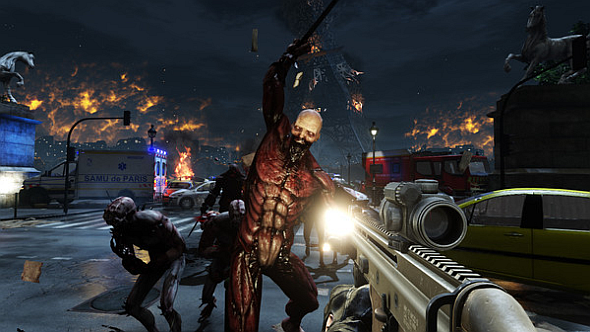 Killing Floor 2’s Zed Time only made it into the game at the last minute. Hardsuit Labs was founded in 2015 by developers from Zombie Studios, who were formed in 1994 and were responsible for the development of several Spec Ops games, as well as Blacklight: Retribution. Since they were formed, they’ve worked on A Hat in Time, Killing Floor 2, Smite, Gears of War 4, and BioShock: The Collection, among others. Paradox claim that they are “constantly looking for partners suited to join our journey onwards,” and that “the reason for this acquisition is to increase our own capacity to manage our portfolio […] together with a studio we believe in.” The purchase cost Paradox $2 million, and they have the option to increase its ownership in the future.